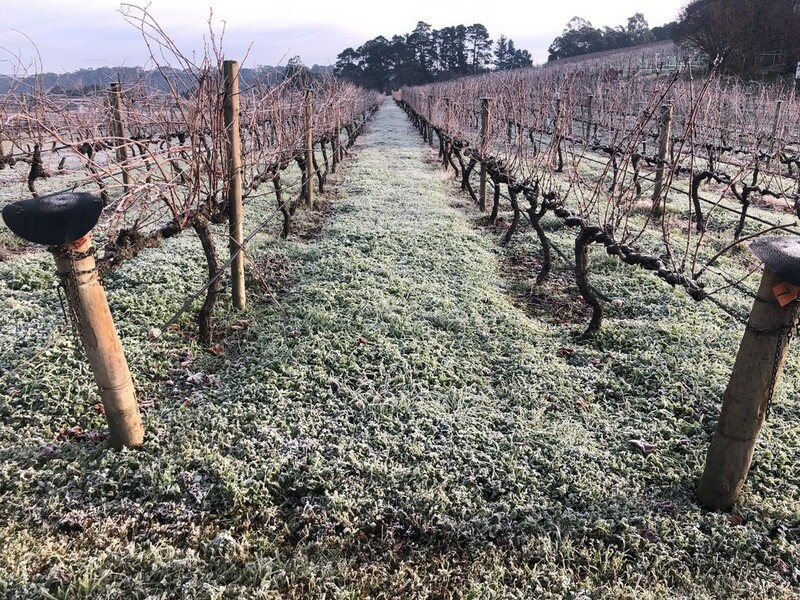 Few places can wear white better than the Adelaide Hills, and whilst real snow is rare, we are occasionally treated to a landscape of pure and crystalline beauty. As the days get shorter and we scramble to stack our beds with extra blankets, the languorous golden afternoons spent sipping Gruner can feel a lifetime away. But change is inevitable and when embraced can be a time of warm reacquaintance and new discovery. I have always been a ‘winter person’; it is not just that I struggle in the summer heat but I have always taken a little extra pleasure in the cuisine we look to in the colder months. The dishes we enjoy this time of year also necessitate a different dining attitude; they take longer to prepare and will often fill one’s home with aromas that can draw even the most brooding of teens to the table. It is very difficult to eat a proper Sunday roast and play videogames, and I think that might be the point. As we yearn for dishes of warmth and substance we also look deeper into the wine rack, seeking heft and complexity. 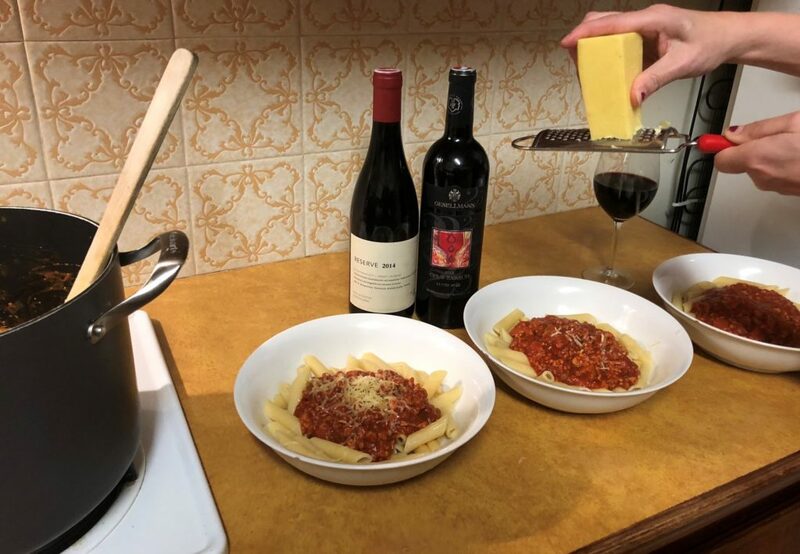 For most of us red wine is a year-round delight and few would argue that as the sun puts up less of a fight and the smell of wood smoke drifts down the street, that reds are not so much an option but the default. It is in this spirit that I would like to share some thoughts on a couple of my absolute favourites, and perhaps unsurprisingly for regular readers, two of them are Austrians. The town Deutschkreutz sits in ‘the heart of Burgenland’, the broad rolling plain that stretches across eastern Austria and spills over into Hungary. 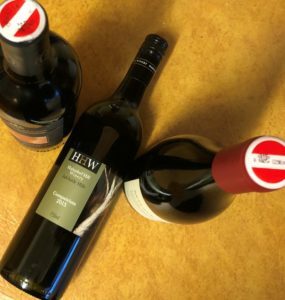 The region has for centuries been the home of Eastern Europe’s prestige reds with three varieties that are dear to the hearts of all Hahndorf Hill fans, often teaming up to create ‘cuvées’ or ‘blends’ of exquisite depth and complexity. Like most ancestral wine producing regions, Burgenland was built on blends with Blaufrankisch often doing the heavy lifting and Zweigelt and St Laurent adding backing vocals of aromatic lift, spice and delicacy. The first record of the Gesellmann Estate in Burgenland is from 1767, but it was in the 1980s that they took the first steps towards the top shelf of Austrian reds. A militant insistence on only picking the very best fruit from their 40 hectares planted around the town of Deutschkreutz and diligently applying the wisdom of previous generations has set the platform for one of the most consistently delicious wines I have tasted. The 2012 ‘Opus Eximium’ is a wine intended to be savoured, or as a whisky drinker would say, ‘slow & low’. Like a troupe of expert medieval tumblers would cascade across the stage, the blackest of blackberries and most purple of plums spill from the rim to dance for the nose. A composition of 60% Blaufrankisch, 30% Zweigelt and 10% St. Laurent delivers the palate a bounty of red and black berry fruits, while the signature spice and a welcome acidity act like a veteran headmaster, keeping this quiet riot on the straight and narrow. This is a complex and beautifully balanced wine that with calm consideration will reveal layer after layer. Now is the winter of our discontent, made glorious summer by this son of … St. Margarethen? The village of St. Margarethen near Burgenland’s capital can boast many attractions; a 1st century Roman quarry, world-class operatic performances and Austria’s largest theme park. But my attention has been firmly grasped by the wines of mother and son team, Hannes and Rosi Schuster. 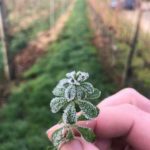 A commitment to a ‘less is more’ philosophy and organic vineyard management has seen Weingut Rosi Schuster recognized all over Europe. Hannes sources his fruit from a handful of very diverse spots surrounding his village, then lets the ferments gently bubble away in open-top vessels. Both primary and malolactic fermentation is spontaneous with more than a little whole bunch thrown in to add extra complexity. The 2014 Reserve Blaufrankisch/ St. Laurent blend was a wine born of a nightmare season; a combination of Hannes’ extremely high standards and excessive rains at the worst possible time forced him to turn his back on a significant amount of fruit. This wine is testimony that adversity can breed excellence; like a soggy phoenix this wine rises above its early challenges to lift your roasted game meats or cheese/grazing platter to a whole new level. A significant proportion of this wine was whole-bunch wild fermented then sent to bed in large format barrels for a whole year. This parcel was then reunited with its kin in an even bigger vessel for an extra 21 months. For a wine that was unfined and unfiltered it has remarkable clarity of flavor; red, black and blue fruits harmonize seamlessly, putting me in mind of a late Monet. This must read like a wine made by a recent Burgundian graduate who has set up shop in the Basket Range, but I was pleasantly surprised by the stealthy tannin and well defined structure. I was expecting a more diffused presence on the palate given the colour and aroma, but this wine is taut and clean with a quiet and hypnotic dignity. 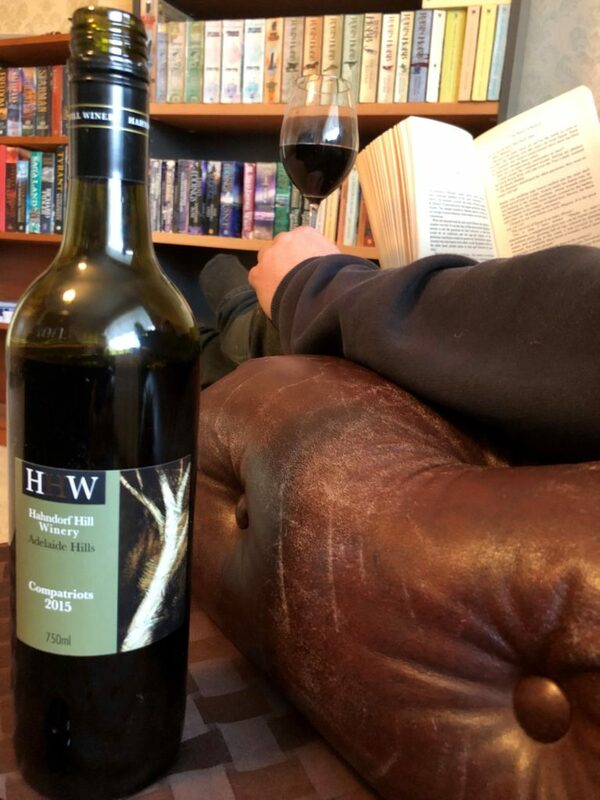 The Hahndorf Hill blend of Shiraz/ Cab/ Merlot we call the ‘Compatriots’ was also born of necessity, not one of tragically timed pounding rain but of overwhelming demand. As I write this we are still the only Australian producer of our marquee red variety Blaufrankisch; every single berry is grown on our Hahndorf estate and the same goes for our single vineyard Shiraz. Years of hard work has seen our profile rise and while interest in our two red wines has grown, the volumes we can produce has not. Halfway through each year a storm would brew as Dee Wright (our enchanting cellar door manager) and I would plead our cases to get the last remaining stock to supply our respective customers. Something had to be done, thus the rich and bold ‘Compatriots’ was born. It was on the back of Shiraz/ Cab/ Merlot blends that regions such the Barossa Valley achieved global recognition, and despite it being a blend traditionally embraced by producers in warmer climates we were confident we could offer a new take on an old classic. The ‘Compatriots’ is the boldest red in the Hahndorf Hill stable and is a wine of many faces. It presents like a group of boisterous lads on a stag do, but quickly mellows into a plush and cultured conversationalist. Liquorice and peppery, wood spice frame ripe plums and juicy blackberry. This wine is a ‘fireside specialist’; rare steak, earthy mushrooms or a mild crumbly blue cheese will highlight the subtle sophistication reclining behind the bold headline. I really do enjoy this time of year; I find the icy dawns invigorating and the crisp evenings provide extra opportunities for spontaneous snuggles with loved ones. Years ago my partner (who does not share my indifference to the cold) dubbed me ‘Jack Frost’ as she claims my embracing of winter’s charms somehow ‘chills her to the bone’. We have been together long enough for me to decipher this code; she will shiver theatrically as I scan the wine rack but quickly thaws as I hand her a glass as dark as the closing night. This entry was posted in Adelaide Hills, Adelaide Hills best Cellar door, Adelaide Hills Gruner Veltliner, Adelaide Hills wine, Adelaide Hills wine region, Blaufrankisch, cool climate wine, Diurnal variation temperature, Gruner Veltliner, Gruner Veltliner Australia, Hahndorf, Uncategorized, wine and tagged Adeaide Hills cellar door, Adelaide Hills, Adelaide Hills wine, Blaufrankisch, cool climate wines, Gru, Gruner Veltliner, Hahndorf Hill Gruner Veltliner, St Laurent, Zweigelt, Zweigelt Australia. Bookmark the permalink.